HARARE – Zimbabwe’s just-concluded harmonised elections have failed the real test of fairness, being free and transparent. 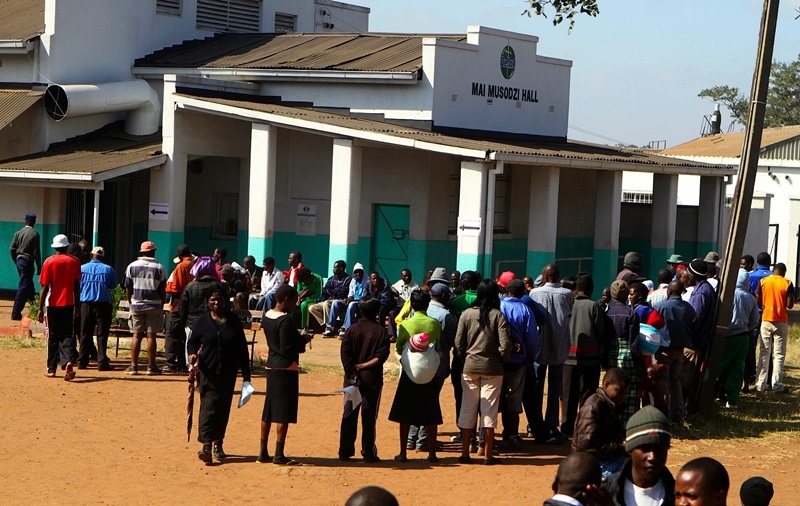 On July 30, Zimbabweans went to vote in high numbers hoping that their voice would be heard through their votes. While the pre-electoral environment and voting day were generally peaceful and orderly, it is the post-election period, which has dented the entire credibility of the polls due to incidents of politically-motivated violence. Until the 11th hour, we had thought that, as Zimbabweans, we had matured politically and that this election would dodge the cycle of electoral contentions synonymous with most outcomes of past polls. We had hoped that the 2018 harmonised elections would be a departure from the Robert Mugabe era of political violence, harassment, intimidation and that Zimbabweans would complete this process peacefully and credibly. Indeed, everyone including the international world was prayerful that Zimbabweans had opened a new leaf, politically, and was ready to ignite a culture of tolerance among supporters of various opposing political parties. We had hoped that peace, tolerance, non-violence and harmony were imperative for our country’s turnaround prospects. However, all hope was blown away when “rogue” trigger-happy soldiers gunned down civilians in broad daylight after some disturbances in the Central Business District of Harare as they tried to drive people out of the city. The tragic event in which at least six people were gunned down is in sharp contrast to the high expectations every Zimbabwean had for a peaceful, inclusive, transparent and credible election in the country. Our Constitution recognises the right to peaceful protests or demonstrations and, as such, it is regrettable when such gatherings are disrupted through excessive use of force. Government should respect the rights of the Zimbabwean people as enshrined in the Constitution. Going forward, we urge the Zimbabwe Republic Police and the Zimbabwe Defence Forces to exercise restraint as they quell protests so that we do not have a repeat of the August 1 confrontation between security forces and civilians. It is sad that the soldiers deployed to quell the unrest reportedly fired live ammunition on fleeing civilians in the crowded streets, resulting in some civilians being shot in the back, while several were injured, including women. We also encourage political parties to pursue their grievances peacefully through the established legal channels and in particular the special courts that have been created to deal with electoral disputes. The vandalism and destruction of property in the city during the protests is regrettable and counter-productive; businesses had properties destroyed, shops were looted and vendors had their goods looted while vehicles were torched. I, therefore, call on political parties to restrain their supporters from taking the law into their own hands. Political parties have to adhere to the principles of the Peace Pledge and uphold the integrity of the political and electoral process. I encourage political leaders, especially those in the ruling party to show magnanimity in victory and stop harassing opposition party leaders like what is penning out. Reports of night-time raids of MDC Alliance officials’ homes, manhunts and abduction of their family members, torture and interrogations by armed and hooded people suspected to be members of the security forces are condemned in the strongest sense. It is sad that after the quietness that accompanied the campaigns and voting, opposition party activists and polling agents have been forced into hiding, and are being terrorised, while some are reported missing. Equally disturbing are reports that show a well-orchestrated campaign of terror in the aftermath of the 2018 elections, involving soldiers in residential suburbs, especially in Harare and Chitungwiza areas, where scores of people have been brutalised and injured through beatings. These human rights violations have no place in a democratic society in which we all dream of and contravene the fundamental tenets of international human rights standards in which Zimbabwe is a signatory. As we welcome the President-elect Emmerson Mnangagwa’s commitment to establish an independent commission to investigate the violence against civilians, we hope the commission will publicly report its findings and that its work commences soon. The international community especially the Southern African Development Community and the African Union as well as those countries that have deployed observers are encouraged to intervene to stop Zimbabwe’s descent into a deeper political crisis.